Juan Hidalgo has been serving Santa Cruz County residents and members of industry for 13 years. In December of 2015, he was appointed Agricultural Commissioner. Prior to his appointment, he served for three years as the Deputy Agricultural Commissioner overseeing the Pesticide Use Enforcement program. 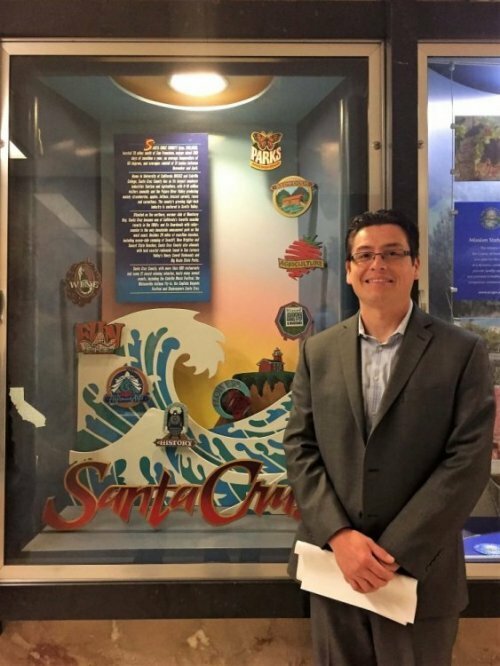 A graduate of the University of California, Davis with a Bachelor’s in Animal Science, Mr. Hidalgo, also serves as the County’s Sealer of Weights and Measures, and the Director of the Mosquito and Vector Control Division. When considering highlights of his career so far, Juan Hidalgo values the opportunity to assist growers with future changes impacting agriculture, and continuing to serve growers and the community in his new role.